Click on the pic to see more! 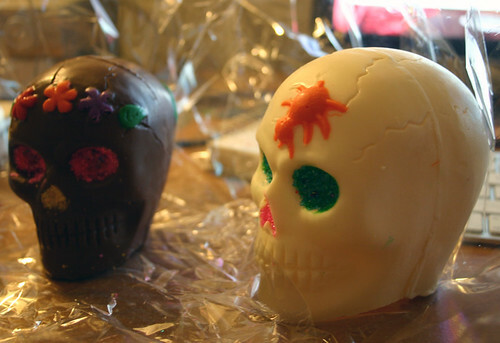 Gift to Judges – chocolate skulls, originally uploaded by WTL-Ottawa. Quick thanks to everyone who was at the Witches’ Gathering last night! I am sure I should write a long and fabulous exploration of the evening’s experiences but just click on the photo to see our own personal buds and fun of the party!